Day of the Martyrs of Independence, or Martyrs' Day, is connected with the peaceful march in 1959 against Belgian colonialism. Hundreds of ordinary Congolese came into streets to demand for independence in a prohibited political manifestation. This march got out of hand and Belgian security forces shot the demonstrators with live fire. This event shocked Congo and Belgium. Nine days later, on January 13, the King of Belgium Baudouin and the Belgium government announced that they would grant full independence to Congo. This transition took years and began from provincial elections in December 1959, followed by national elections in 1960 and 1961. The whole process of transition of political and administrative responsibilities ended in the mid-1960s. 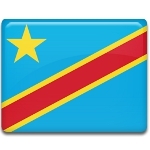 Today the anniversary of that march is considered to be a turning point in the history of departure for the independence in Congo from Belgian colonialism.